Do you need some help making your landscape dreams come true? 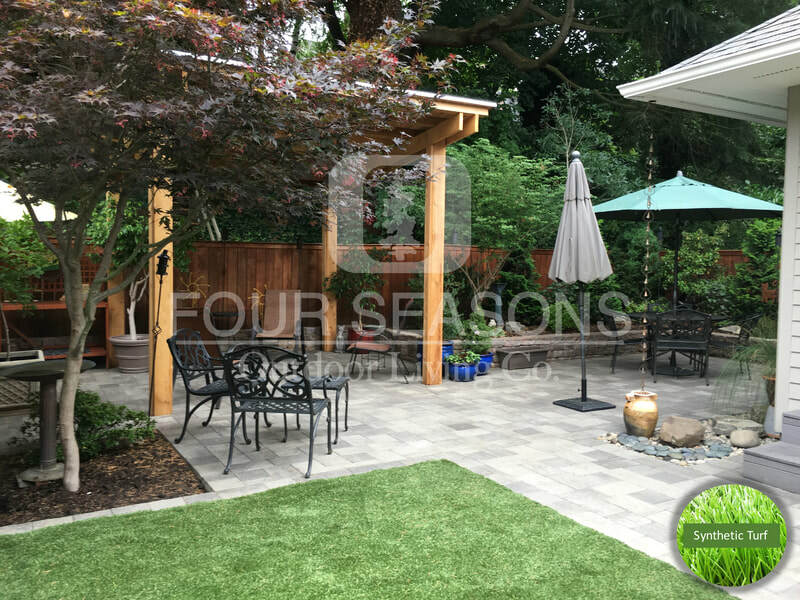 At Four Seasons OLC we know that finding the perfect low-maintenance artificial & synthetic turf option for your landscape project can be a challenge. 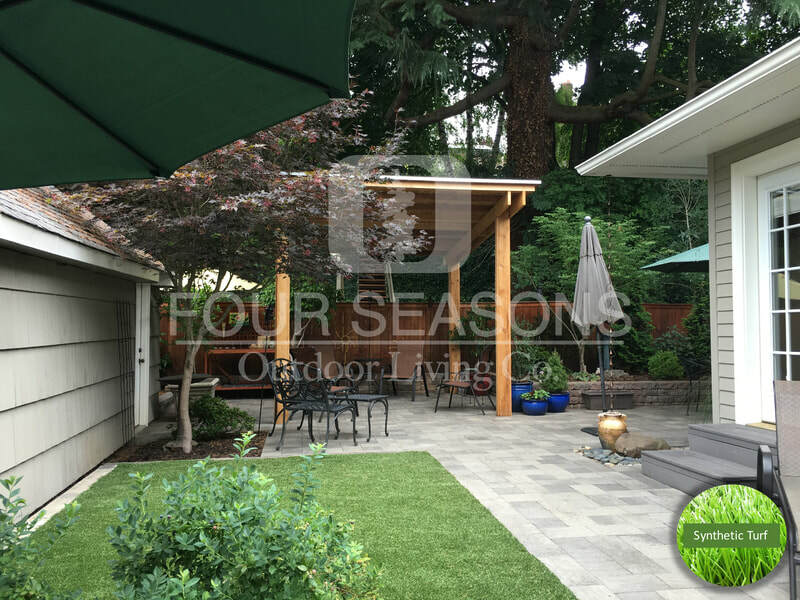 Four Seasons OLC offers professional turf installation at a discounted rate through our partner company SynLawn. We promise the best quality products. We will beat any local competitor’s price on the same in stock unused 1st quality products with a manufacturer’s warranty form SynLawn. Let the Four Seasons OLC help you find the right turf products to make your dreams a reality. Saves water resulting in over 50% reduction in residential water use on average. Massive time savings allowing you more time to enjoy your yard instead of working to maintain it. Reduced carbon emissions and no need for lawn maintenance equipment. Utilizing renewable resources with over 70% of the petroleum based polyol of competitors turf varieties replaced with a plant-based polyol made using soybeans. Reuse of post manufacturing waste including coal ash added for extra strength and dimensional stability. Lower impact on local landfills with long projected life cycles and 100% recyclable. Pet deodorizing systems with proprietary pet system components offering the cleanest and safest environments for pets. Dedicated sales support striving to give our customers the best experience possible. Unmatched product capabilities with the best performing turf in the industry. Installation specifications for landscape architects and designers seeking detailed drawings, specs and more. Research & development lab dedicated to product innovation unmatched in the industry, the only one of its kind. HeatBlock™ technology we create the coolest turf in the synthetic turf landscape industry, approximately 20% cooler than competitor prdoducts. EnviroLoc™ backing system an industry leading, sustainable solution built into our SYNLawn branded products. We have the right grass with the most varieties of grass available as well as the most options specifically designed, engineered, and manufactured for different applications.